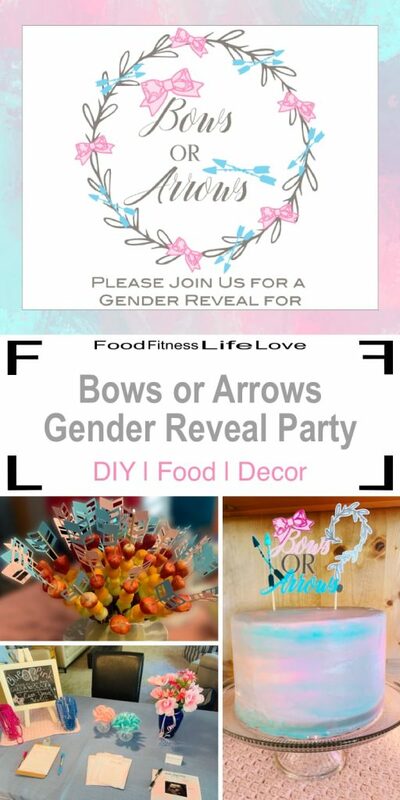 Party food, decoration ideas and a memorable reveal for super sweet party with a Bows or Arrows Gender Reveal Theme. My sister is having her first baby. I am so excited for her because this baby has been a dream for many years. 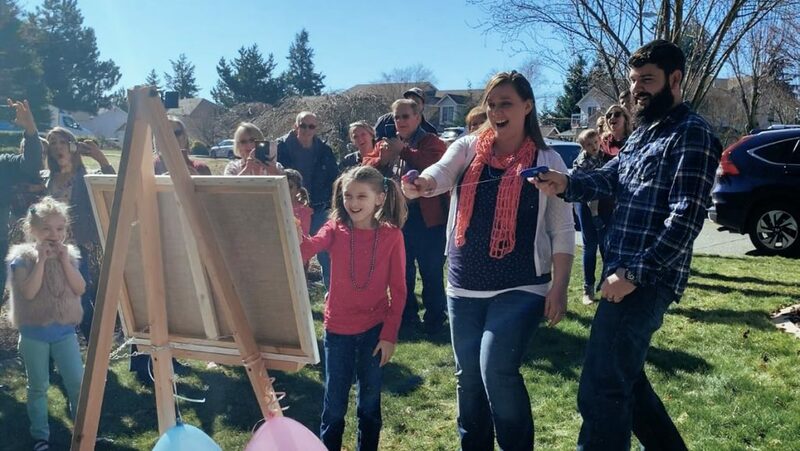 When she asked if I would throw her a Gender Reveal Party, I truly felt honored. I love planning parties, and this one is extra special. My sister and her husband decided on a Bows or Arrows theme. 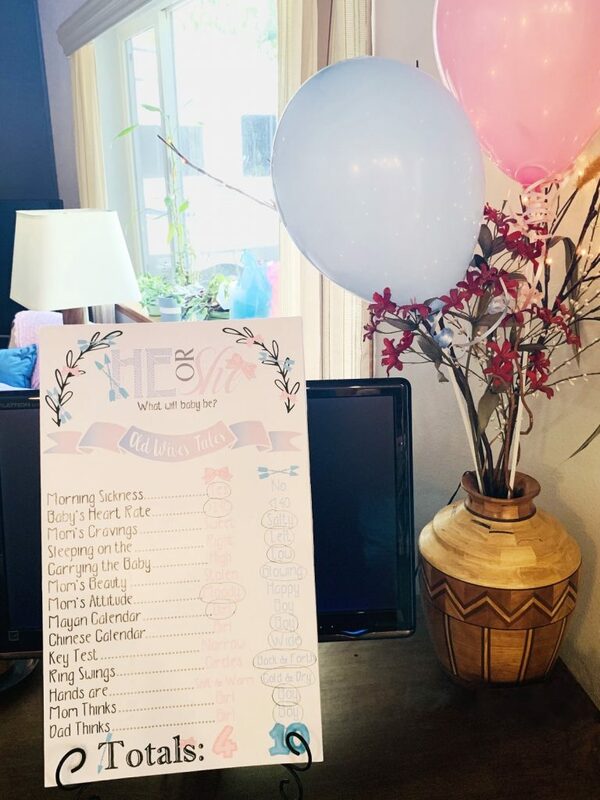 As the party planner, I also had the special privilege of being the only one to know baby’s gender. I went with my sister to her ultrasound appointment. It was so amazing the see the beautiful baby moving around inside her. 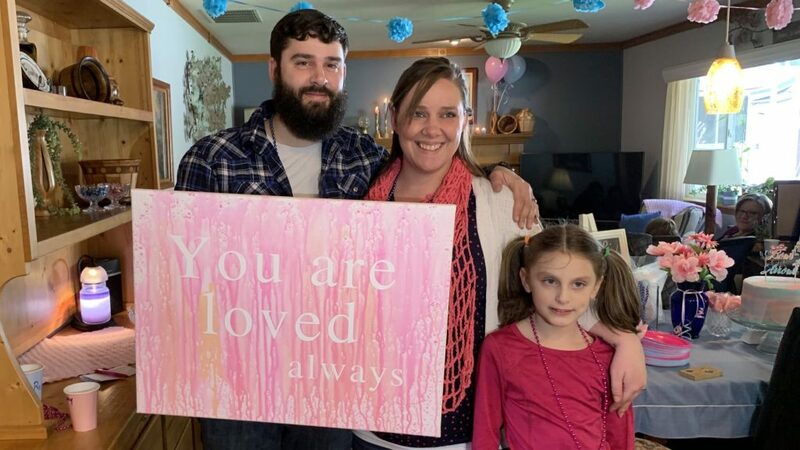 I’ve obviously been to my own ultrasounds with my girls, but it was so special to share this with my sister. 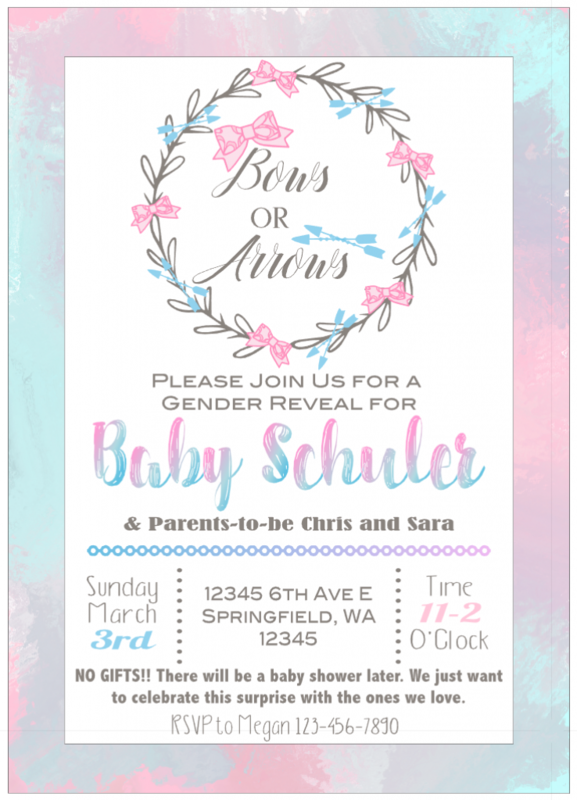 After the ultrasound, the tech handed me a sealed envelope containing THE CARD, with the gender. Moving further into the house, guests found the dessert station. 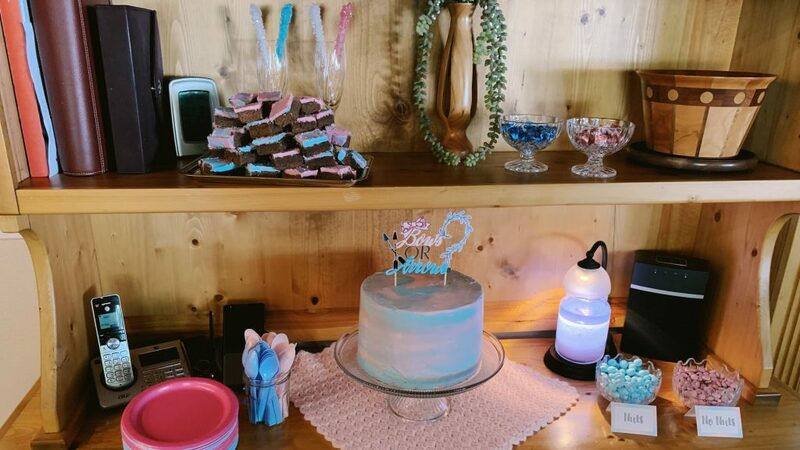 The desserts included cake, brownies and candies in the perfect colors. My mom included a blue candle. 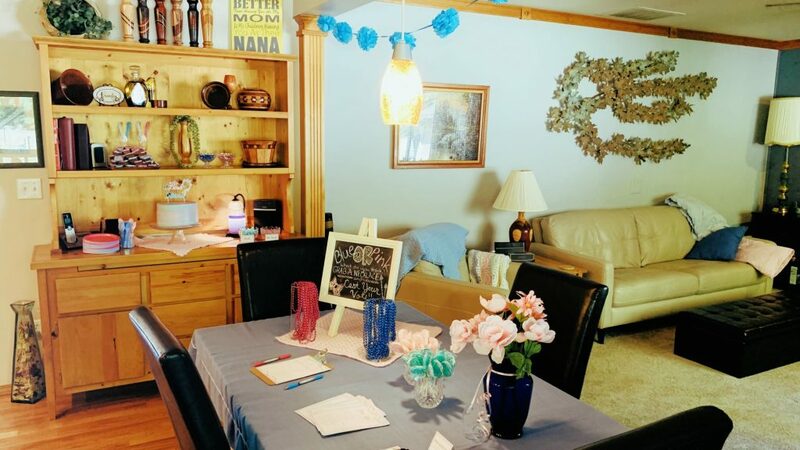 The plates and spoons in the party colors added to the decor. 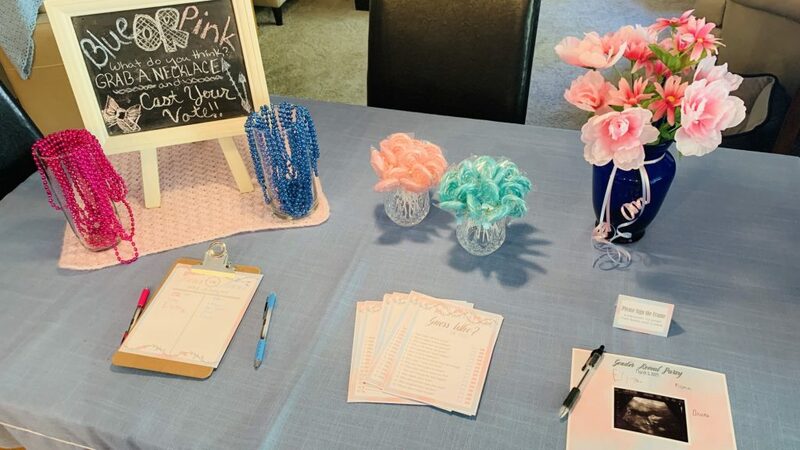 The kitchen table displayed a voting sheet for the guests to sign and necklaces to wear, so everyone would know their guess. I decorated the chalkboard with my kids sidewalk chalk. We also had a Guess Who? 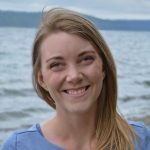 game for everyone to play and a picture frame for guests to sign (Tutorial and Free Printables). The other decorations around the living room, was mostly special baby blankets. Some were mine, some my sisters or my kids, and most of them were made by my sweet grandma. A fun and special way to decorate with all things baby. 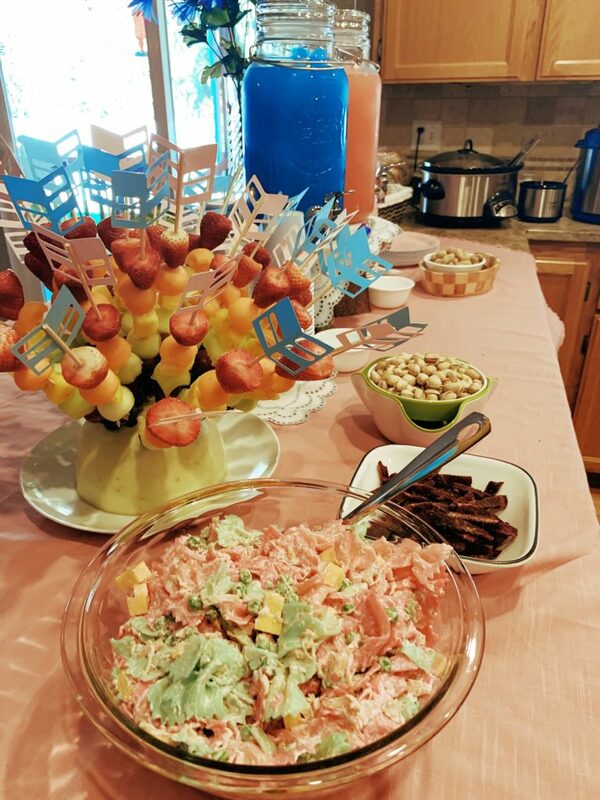 Party food should be fun and easy. I love to use recipes that can be made ahead of time, so party day is fun day. My sister and I had fun coming up with a couple foods to carry on the Bows or Arrows theme. I made Arrow Fruit Kabobs; so fun and easy. I also cooked up some colored bow-tie pasta for my sister to use in her pasta salad. And, another easy way to include the party colors is in the drinks, blue – Hawaiian punch lemonade and pink – strawberry lemonade. To finish out the lunch, there were pulled-pork sandwiches in the slow-cooker, meatballs in the Instant Pot, and a vegetable tray. 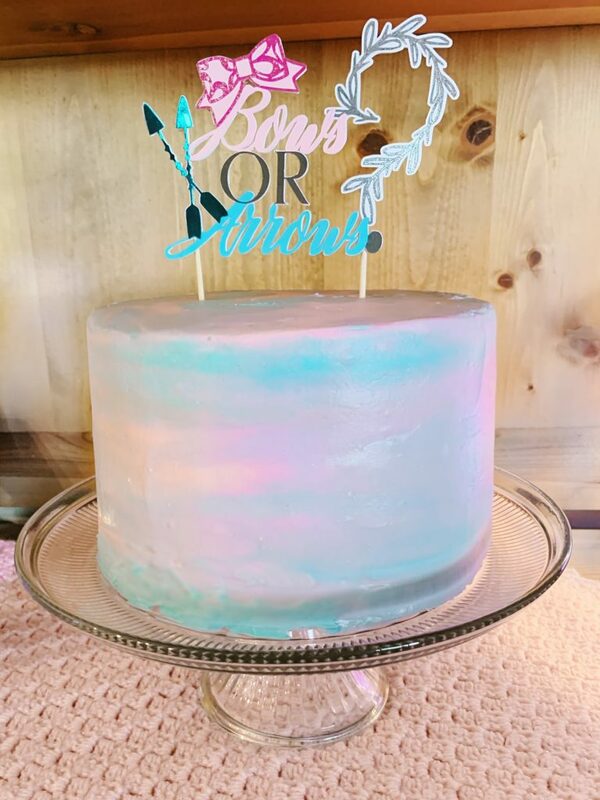 I made the cake and frosted it in a blue and pink marble pattern to match the party invitations. 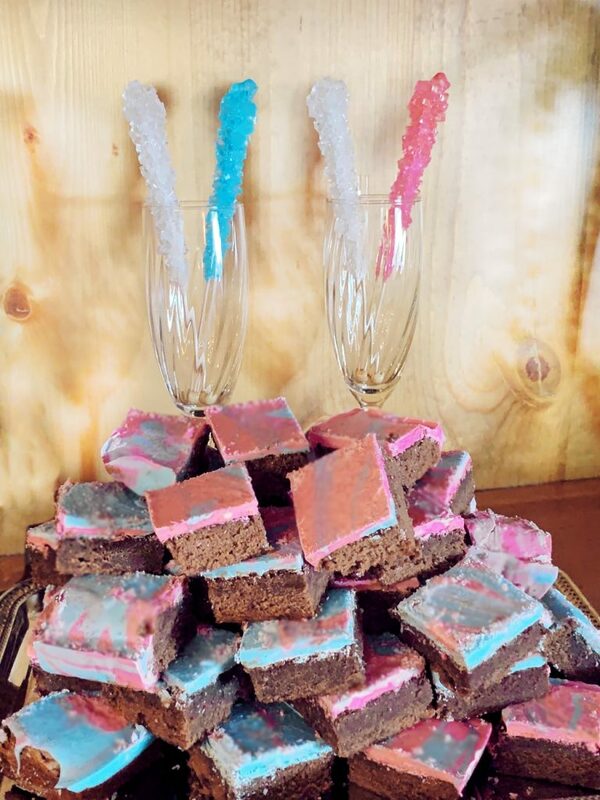 The brownies were easy to decorate with blue and pink candy melts swirled in a marble pattern (add 1/2-1tsp coconut oil to the candy melts to thin them out). 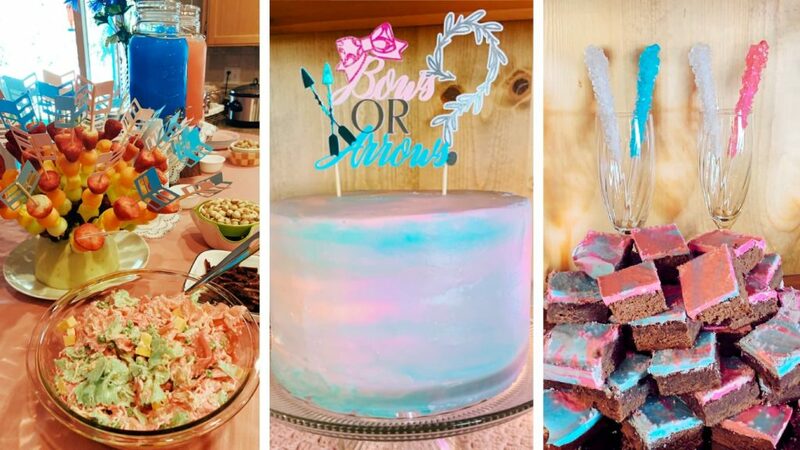 This was my first Gender Reveal Party, and it was so much fun!!! Isn’t the look on everyone’s faces just awesome? And now my new niece will have this sweet picture hanging above her crib in the nursery. Want More? 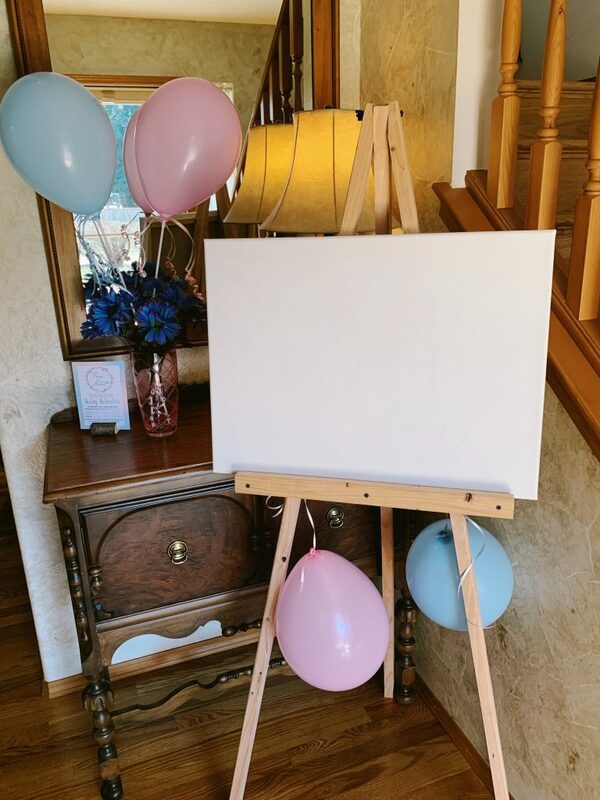 Check out the DIY Gender Reveal Decorations and the Keepsake Canvas Tutorial.